The Russian Revolution was a revolution led by the citizens of Russia to at first overthrow the current Czar as they saw him unfit to rule. 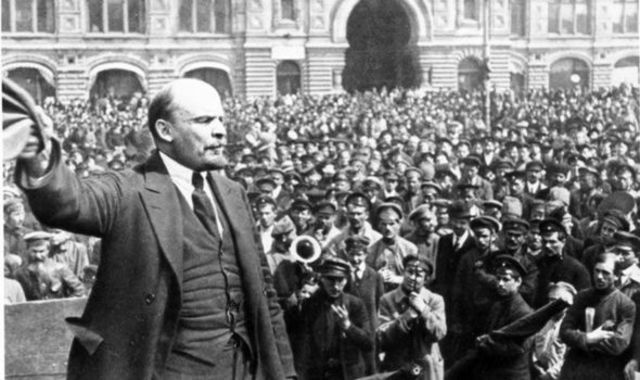 Once a new leader was required, a man named Vladimir Lenin led a party called the Bolsheviks, and eventually was able to become the next leader of Russia. Later on, he'd enforce a new style of government called Communism, and also form the Soviet Union. This formation caused many to become aware of Russia's power and their hunger for more. The Potsdam Conference was a conference held between the representatives of the the three nations of America, England, and the Soviet Union. Respectively, the men that represented these countries were Harry Truman, Winston Churchill, and Joseph Stalin. 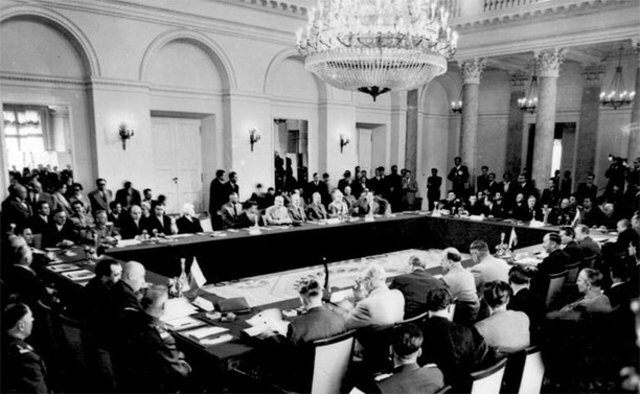 The conference was held to discuss the action they'd take about postwar Europe, mainly talking about topics like punishing war criminals, Germany's economy, and land divisions. Although, their were many arguments and little was agreed upon. 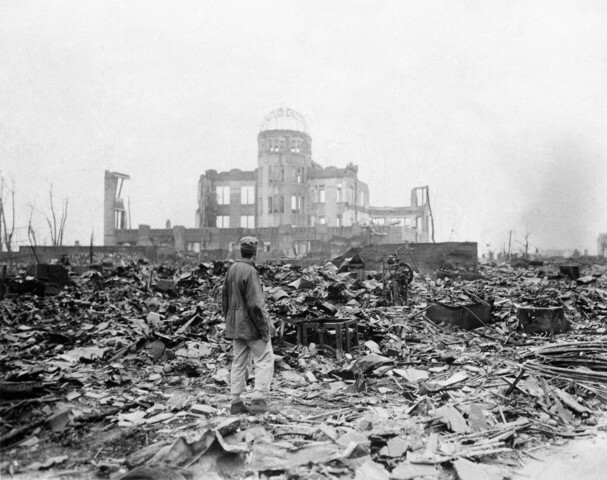 The atomic bombing of Hiroshima and Nagasaki was a successful attempt made by the American military to force Japan to surrender. Seeing that Japan would rather die than surrender, current president Harry Truman decided to drop the bombs in hope of convincing Japan. It worked and Japan surrendered soon after the detonation of the two bombs. The Soviet Union would become angered and afraid that the U.S had such a power however. The iron curtain is a term given to the sometimes physical border between the Soviet Union and nations allied to the U.S. Since the Soviet Union wanted to keep its satellites under its influence, it minimized contact between capitalist nations bordering them. Even sometimes going as far as to build a literal border like the Berlin Wall. 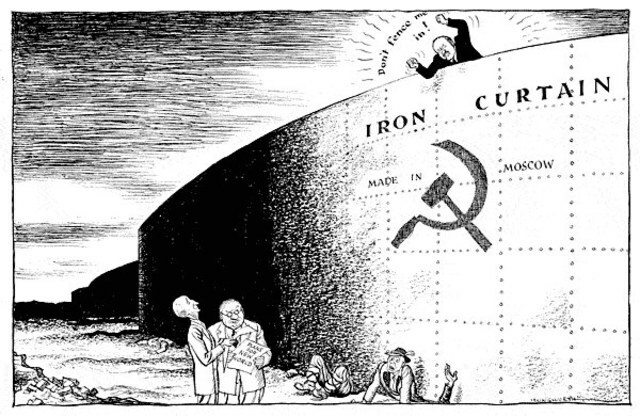 The Iron Wall "stood" until the end of the cold war, but caused western nations to dislike the Soviet's actions even more. The Truman Doctrine was the United State's response to Britain's statement that England could no longer support Greece or Turkey. 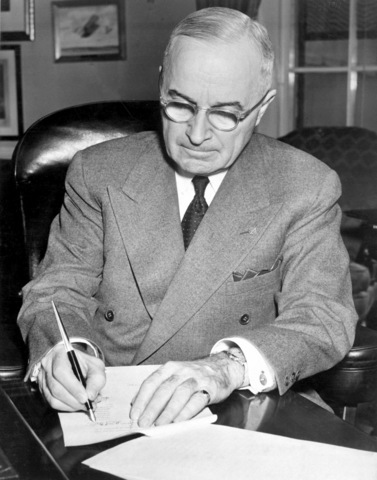 Current President Harry Truman was unwilling to let either nation on their own, and proposed to congress on March 12, 1947, that the U.S needs to help nations fighting against communism. Congress would approve this and lend Turkey and Greece $400 million for repairs. The Soviet Union responded aggressively by pressuring more nations into communism. The Molotov Plan was a Soviet made and provided plan similar to that of the Marshall Plan. 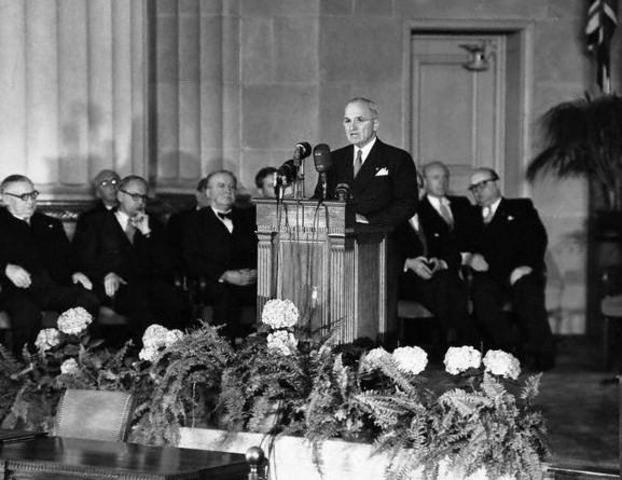 The Soviets believed that accepting the Marshall Plan would lead dependency on the U.S. for economical aid. As a response, they established their own, similar, plan that they would lead and control. The western nations however only saw it as a way for more dictatorship over Europe. 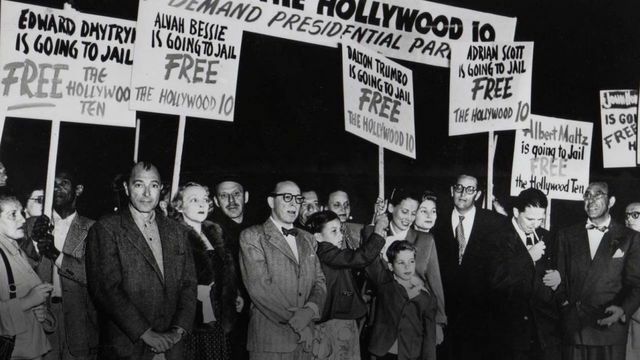 During the Red Scare era, the HUAC committee hunted down anyone they found to be a communist in hiding. At one point, they accused the media business of using subliminal messages to manipulate Americans. While many actors and producers were compliant, a certain ten never answered the questions they received in court directly. All ten were convicted to jail time. 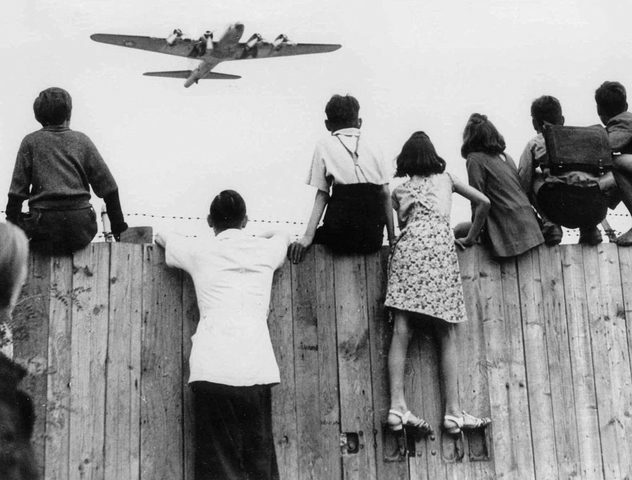 The Berlin Blockade refers to the Soviet Union's attempt to reduce and even prohibit western nations from accessing Berlin. As decided during the Yalta and Potsdam conferences, Berlin was split with western powers controlling the west half of Berlin, and the Soviet's controlling the east. As a way to maintain communistic control over their Berlin, the Soviets began building borders around Berlin. This would cause capitalist powers to become more wary of the Soviet's intentions. 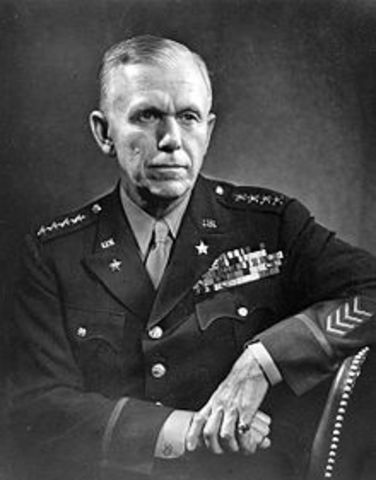 The Marshall Plan was a policy proposed by George Marshall that would allow the U.S. to assist any nation fighting against communism. This would allow the United States to interfere with Soviet plans to influence nations to adopt communism. 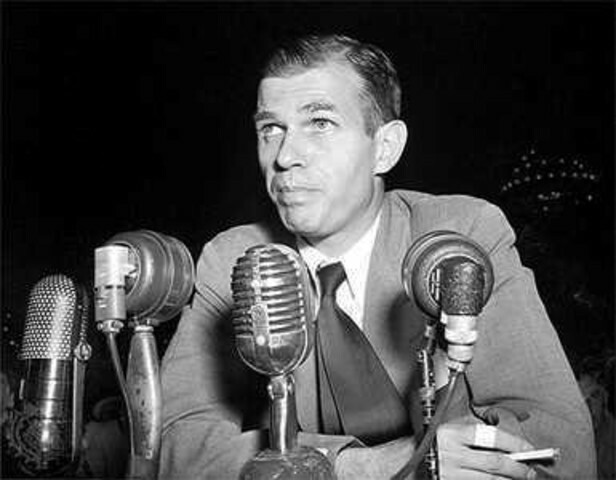 The Alger Hiss case was a hearing in which Whittaker Chambers accused Alger Hiss of being a ex-communist spy. His accusations were based on that, as he was an ex-communist himself, Hiss passed him top-secret files in the 1930's and 40's. Hiss denied all accusations, but was eventually convicted for perjury in 1950. 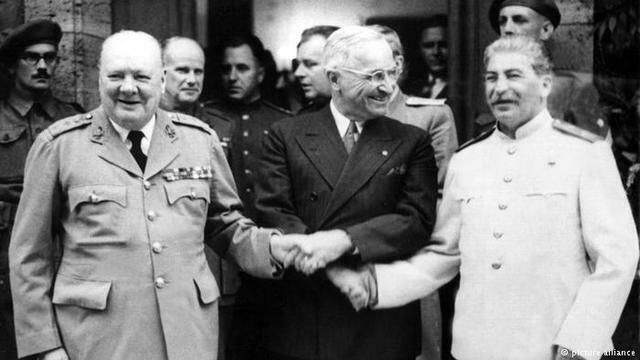 The NATO alliance was a treaty proposed by American president Harry Truman, that would ally a majority of North-Atlantic nations as a defense against the Soviet's constant pressure. This would lead to a greater divide between communist and capitalist nations. 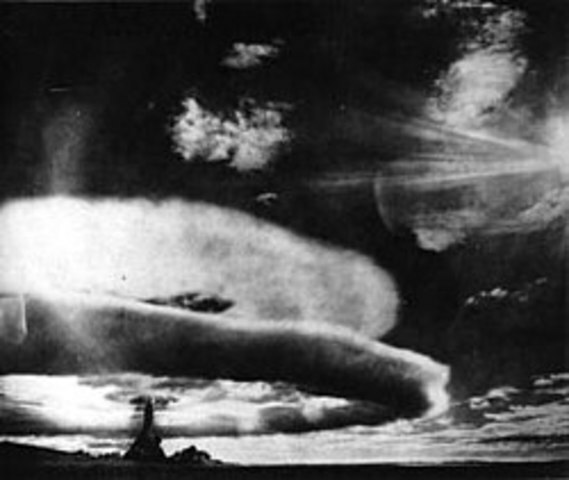 The Soviet bomb test was the experiment where Soviet scientists had test-detonated an atomic bomb they had in development. It was a success, as seen by an American spy plane surveying the area at the time. This would be the Soviet Union's first step in the atomic arms race. 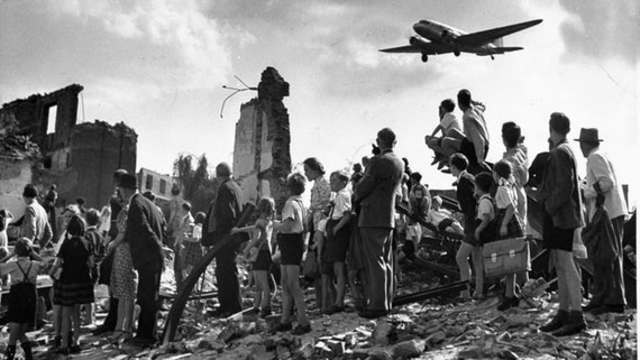 The Berlin Airlift was the United State's response to the Berlin Blockade. With all the roads to Berlin blocked off by Soviet forces, western nations began to air drop supplies to the people of Berlin. Initially, the Soviets resisted, but eventually allowed western nations to return to their side of Berlin. While it was a victory for capitalism, the Soviet Union would remember their defeat bitterly. 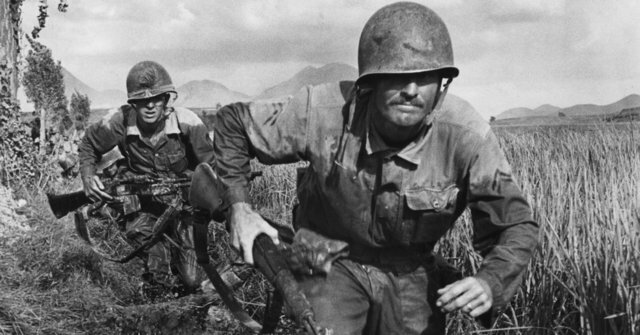 The Korean War was a smaller war compared to the previous WWII. It started due to now South Korea calling for assistance against communism. Thanks to the Marshall Plan, little political action was needed to initiate action, and the U.S began the three year war with North Korea. This was the first small war in the Cold War, and both sides supported their affiliated agenda. Neither side was a clear victor, and the only clear result was that the country was divided on the 38th parallel. 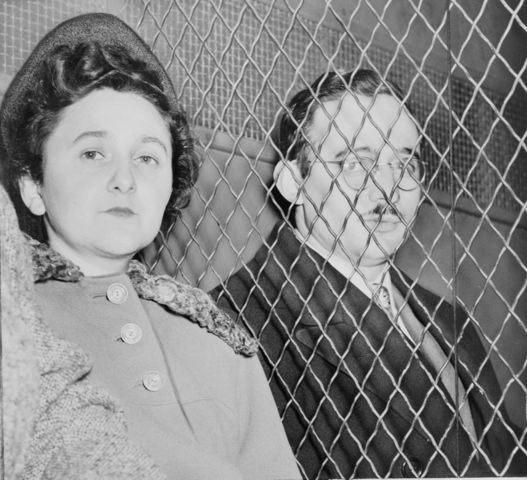 The Rosenberg trial was a trail in which Julius Rosenberg his wife Ethel Rosenberg were both accused of passing U.S bomb secrets to the Soviet Union. While they denied all accusations and claimed their prosecutors were being biased due to their religion, they eventually were found guilty. In 1953, both were executed via electric chair. 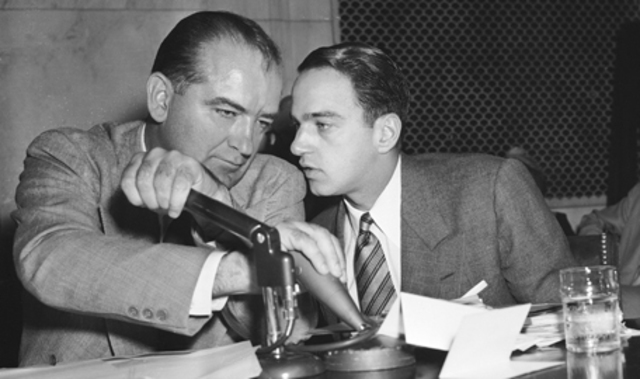 The Army-McCarthy hearings were hearings in which Joseph McCarthy had accused army officials of being Soviet spies. Previously, McCarthy had made many accusations parallel to this, but all were founded on impartial evidence. This time, McCarthy was exposed by the army, who accused him of influencing the people. No one was convicted after the hearings, but McCarthy lost many of his followers. The battle of Dien Bien Phu was fought mainly between the Viet Minh and the French. The controlled Indochina before WWII, but due to Japanese invasions, decided to reclaim it after the war. The Viet Minh however, wanted to remain independent and put up resistance. 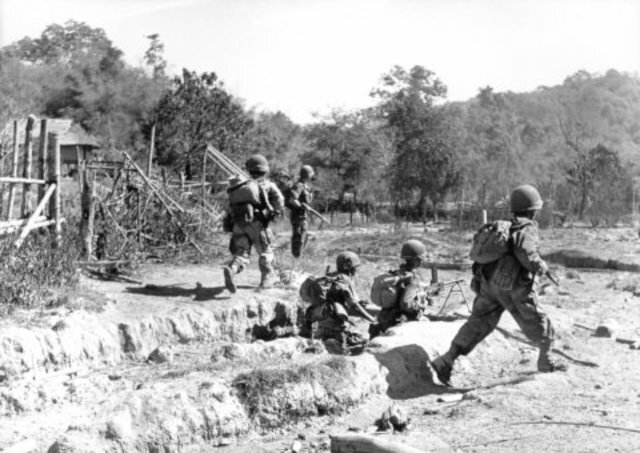 After nearly a decade of conflict, the French military invaded the north western valley of Dien Bien Phu, but barely a year after, the Viet Minh were able to capture the post, forcing the French to agree to the Geneva accords. The Geneva conference was a meeting between superpowers of the the world to discuss how to handle the problems in Indochina and other nations that capitalism fought communism. In Vietnam's case, the nation was split in two, with Northern Vietnam being under communist control, and Southern Vietnam under capitalist control. After two years, it was agreed that the two would reunite and democratically elect a leader, capitalist or communist. The Warsaw Pact was a treaty signed between the Soviet Union and seven of its satellites. 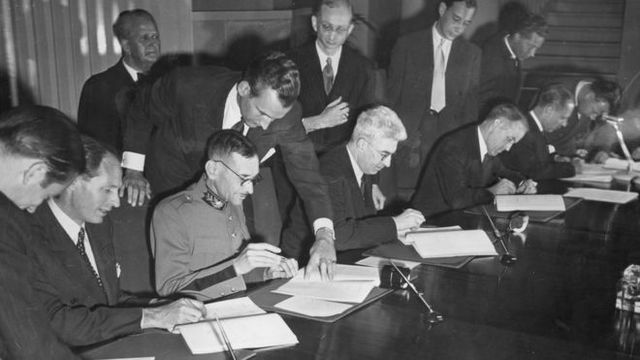 Signed in Warsaw, Poland, the treaty would allow the Soviet Union to take control of the participating nations' military personnel if any are under threat of a direct attack. 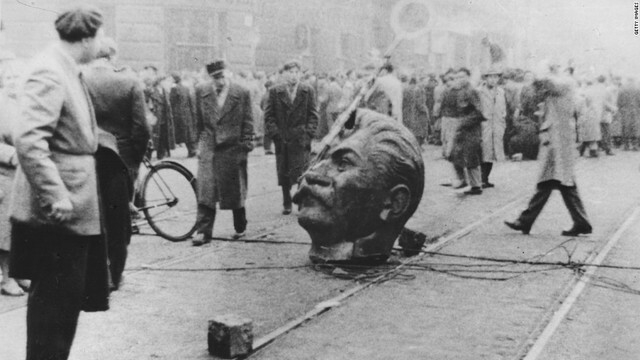 The Hungarian Revolution was a revolt caused by the people of Hungary who demanded that Hungary become a democratic nation and be separated from the USSR. 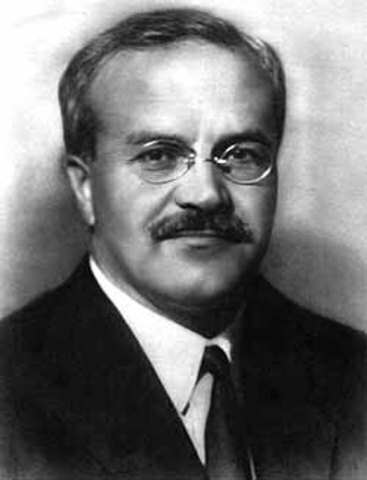 The Soviet Union initially responded with a new premier, Imre Nagy, who eventually ditched his position to support the rebellion. Not too later, the Soviet Union sent tank divisions to Budapest, the capital of Hungary, which quickly dealt with the problem. The Soviets then elected a new premier, János Kádár. 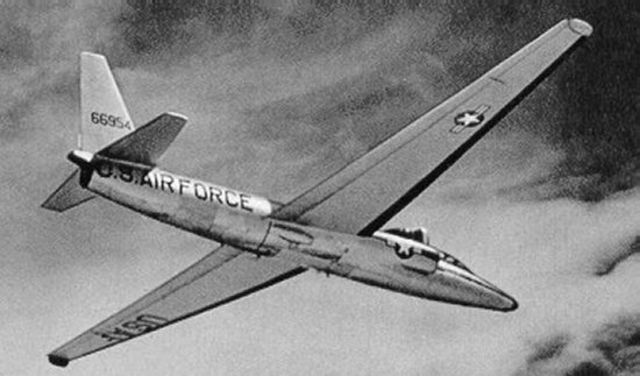 The U2 Incident was a high-stakes issue between the Soviet Union and the United States. The U.S had sent pilots to spy on restricted areas in Russia. In May, a spy plane was shot down and the pilot, Francis Gary Powers, was captured by the Soviets. The Soviets then forced the U.S to reveal that they'd spied on the USSR for a while, and Powers was sentenced to ten years of prison. Two years into his sentence, the U.S and the USSR traded him with a Soviet spy who'd been captured by the U.S. 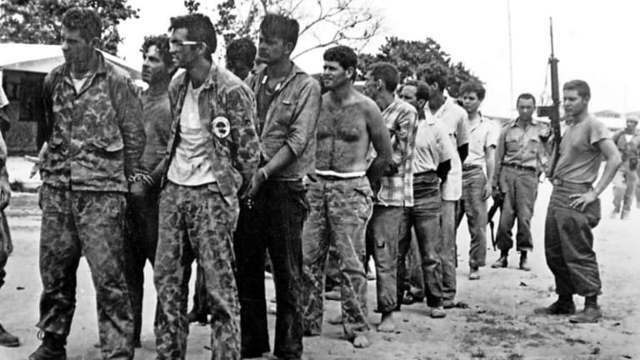 The Bay of Pigs Invasion was a U.S military operation in which we trained exiled Cubans to invade Cuba and assassinate current dictator, Fidel Castro. The Invasion failed and the U.S government was put to shame. Now under threat, the Cubans had a reason to accept the Soviet Union's assistance, giving the USSR a backdoor into the U.S. 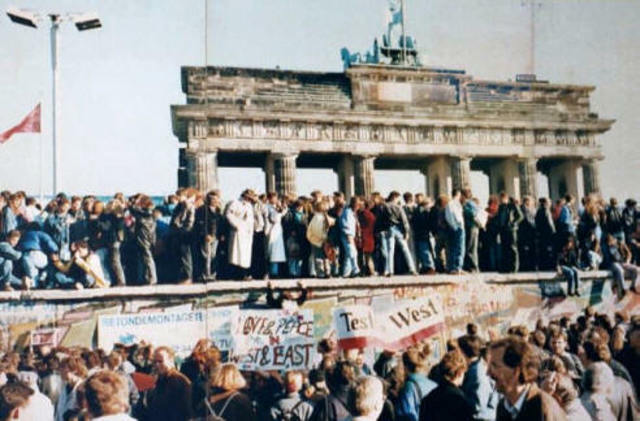 The Berlin Wall was Russia's answer to the massive amounts of East Berliners migrating to West Berlin. The Soviet Union was angered that their people were fleeing in mass numbers, and as a way to prevent such a thing, they gave East Germany's government permission to build a defense. 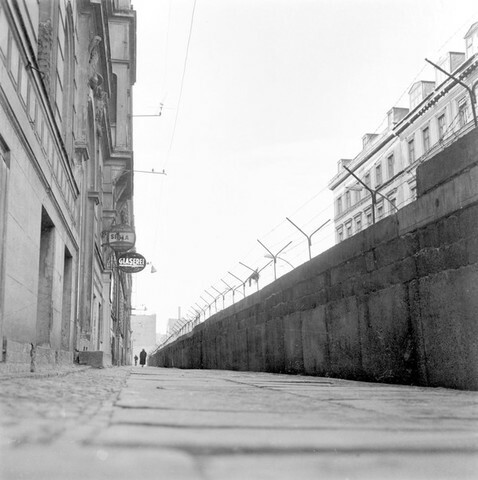 So, the Berlin Wall was completed, and anyone who crossed was shot on sight. 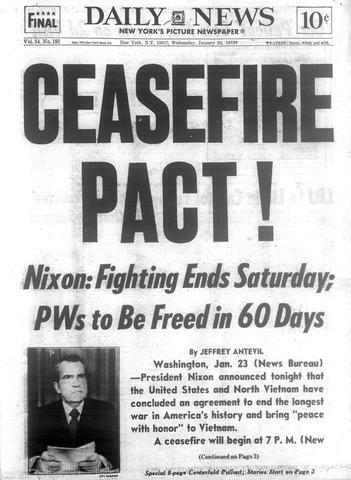 Many members of NATO saw this as another Berlin Blockade, but none wanted war and were accepting of such action. 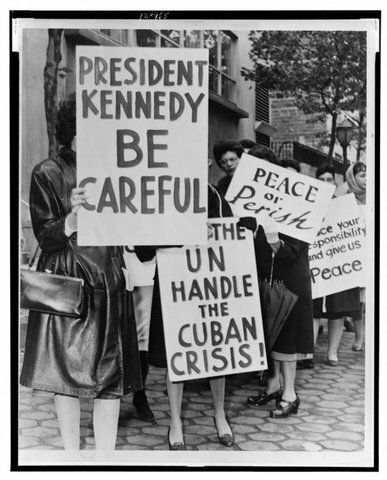 The Cuban Missile crisis was a situation in which the U.S had gathered intelligence that the Soviet Union was supplying Cuba with military equipment, including missiles and missile silos. Heavy accusations and debate followed, and tensions remained at an all-time high during. Eventually, the Soviet Union agreed to remove the missiles, and the U.S agreed to not invade Cuba and remove our missiles from Turkey. Both sides walked away with a loss, and neither was happy about the result. 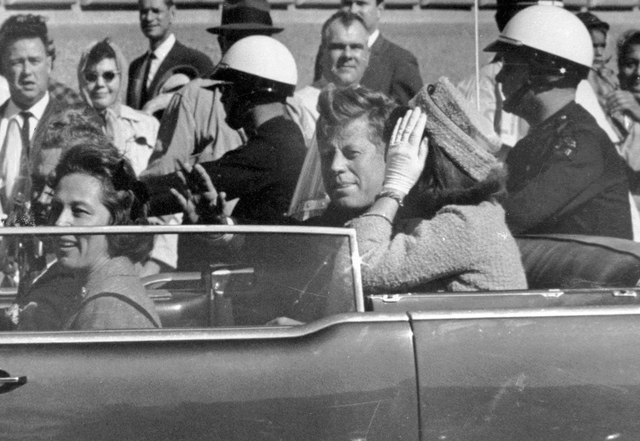 On November 22, 1963, John F. Kennedy was assassinated by Lee Harvey Oswald. Oswald was originally in the marines, but was kicked out. He then traveled through many communist nations and eventually landed up in Dallas. Vice President Lyndon Johnson was sworn in later in the day of the assassination. Kennedy was then buried in Arlington National Cemetery, where an eternal flame is lit in his honor. Oswald was later shot by a man called Jack Ruby while he was being transported. 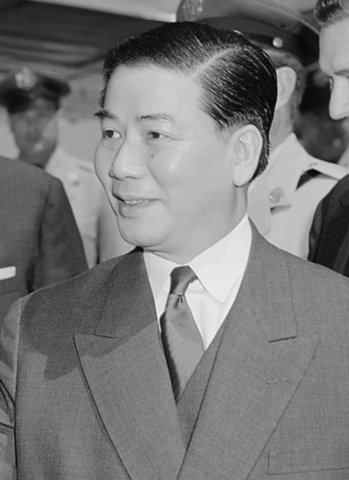 The assassination of Diem occurred on November 2, 1963. It would be celebrated by insurgents and Viet Minh, but eventually lead to political chaos. This would motivate the U.S to spend even more resources on stabilizing the nation. 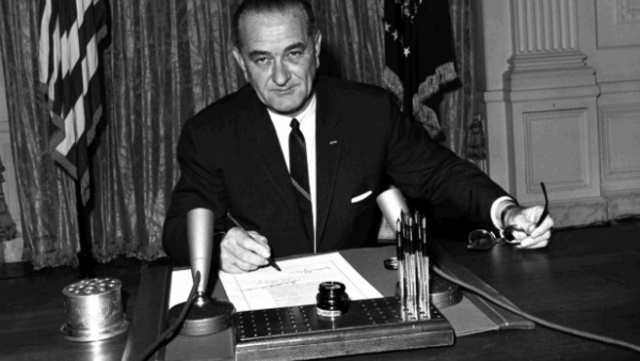 On August 7, 1964, U.S congress authorized President Johnson to use as much resources as he though necessary to control Northern Vietnam. It was passed soon after news came in that the USS Maddox was attacked by Viet Minh patrol boats. This would be the U.S's first real step into the Vietnam war. 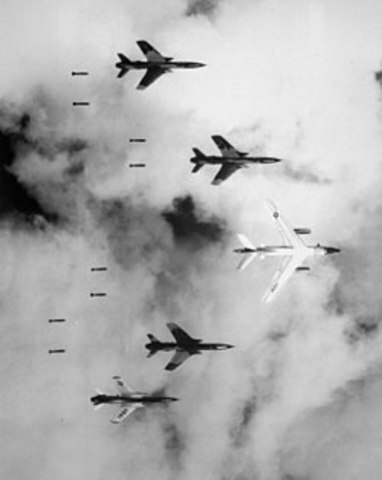 With free permission to spend as many resources as he wanted, President Johnson began a three year bombing period on North Vietnam targets. It was the largest and most expensive aerial operation in history. It would further increase the awareness of the war for the American people back home. With the Vietnam rounding its third year in progress, many in Vietnam began to celebrate their equivalent of America's Christmas. While the Northern Vietnamese agreed to a cease fire for the celebration, secretly they planned to attack cities and towns in South Vietnam. Around January 30, 1968, the first attacks began. 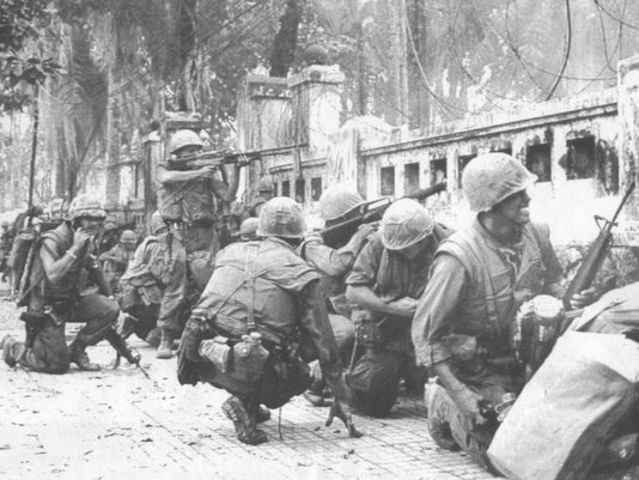 The South Vietnamese were successful in taking a majority of the cities, but their most important victory was that the attack lowered American support for the war. 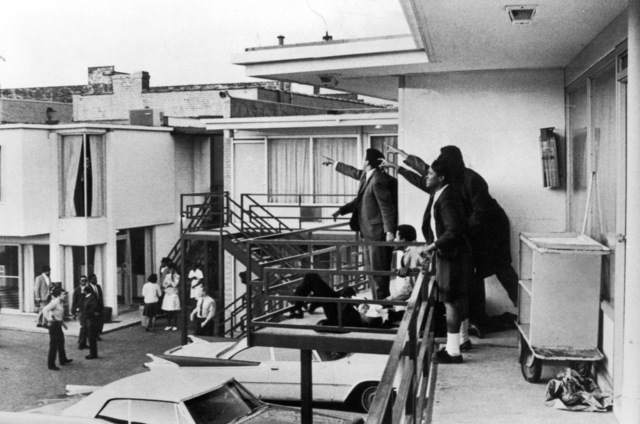 On April 4, 1968, Martin Luther King Jr. was assassinated at the hotel in Memphis, Tennessee. The assassin was later to be found as James Earl Ray, although many believe he was just part of a larger conspiracy. Many Americans would follow King's idea that the Vietnam War isn't necessary and should end. 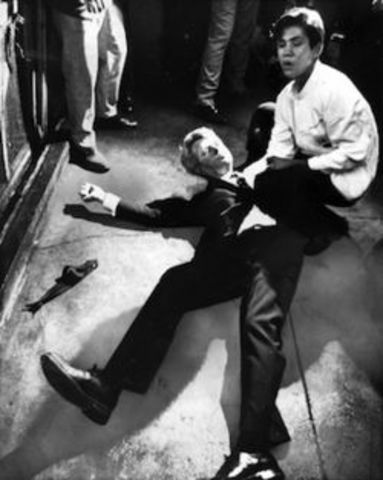 Robert F. Kennedy was assassinated on June 5, 1968 at a hotel he was staying in in Los Angeles. His shooter,a Palestinian man named Sirhan Sirhan, shot him five times outside the hotel. This would cause further anger in the American political scene as well as more discussion about America dropping out of Vietnam. During a democratic convention in Chicago on August 1968, protesters began to riot in the streets. 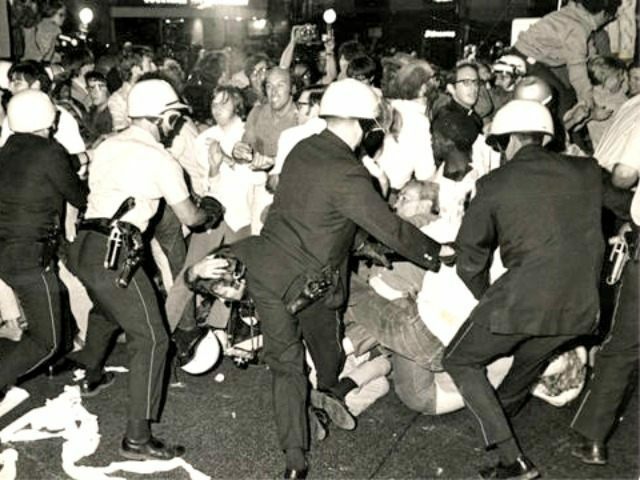 They were protesting American involvement in Vietnam, and eventually were met with large amounts of police retaliation. With the entire situation being broadcasted on live television, more and more American citizens began to join the protest of the Vietnam War. With more and more unrest increasing during the 60's, many communist satellites began wanting liberation. 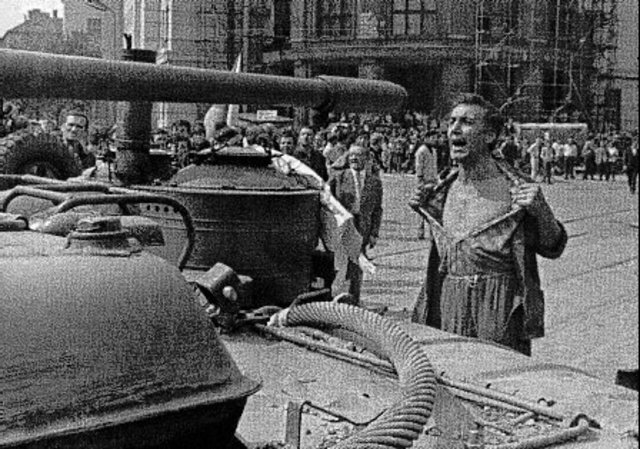 During 1968 August, the nation of Czechoslovakia began protesting for independence from the USSR. Eventually, the Soviets sent in tanks to retake the country and establish dominance. The conflict lasted a month and the protesters didn't stand a chance. This was another demonstration of the Soviet's cruelty for the rest of the world. 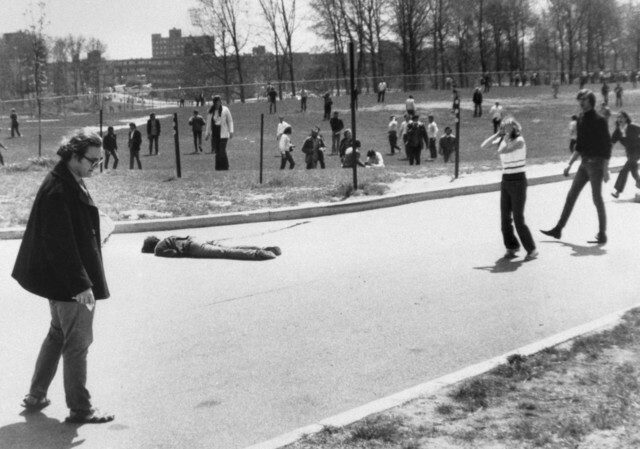 Starting the year of 1970, during a Vietnam protest made by students, four were shot by the national guard. The guard, sent there ironically to bring order to the school, opened fire on the crowd when the protests grew too violent. 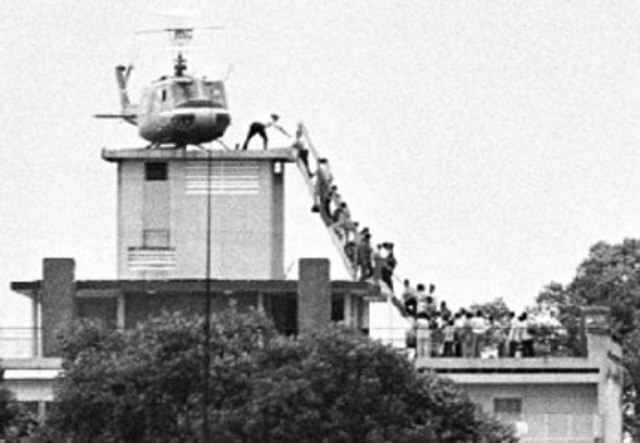 The shooting would increase public opinion about America dropping out of the Vietnam War. 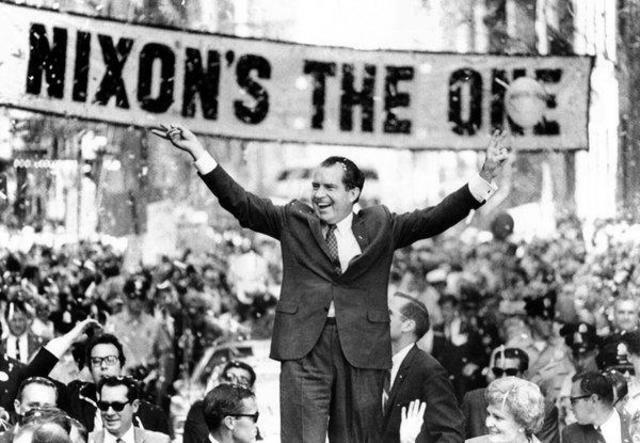 With the Vietnam War looking its dimmest, Nixon set off to China to discuss the U.S-China relations. 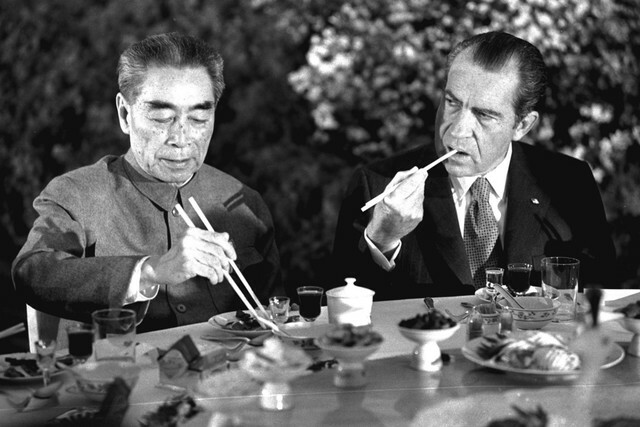 Since China and Russia were the major communist powers at the time, Nixon wanted a way to get on China's side, as he knew splitting them apart would be favorable in the future. While nothing serious came out of the talks, the U.S were definitely on better terms with the Chinese. On exactly January 29, 1973 8:00 a.m., the ceasefire between Southern Allied forces and Northern Vietnamese forces was issued. While it was official, it was more of a way for America to causally escape the situation. Small attacks between North and South Vietnam occurred still after the ceasefire. Even though America spent millions of resources on the war, eventually communism would win in Vietnam. With the end of direct American involvement in Vietnam, the South Vietnamese people were overrun by the north in April of 1975. Eventually, the country would reunify as a communist party, and also begin reforms as to improve the economy. Their unification would have little effect on the rest of what's left of the Cold War. 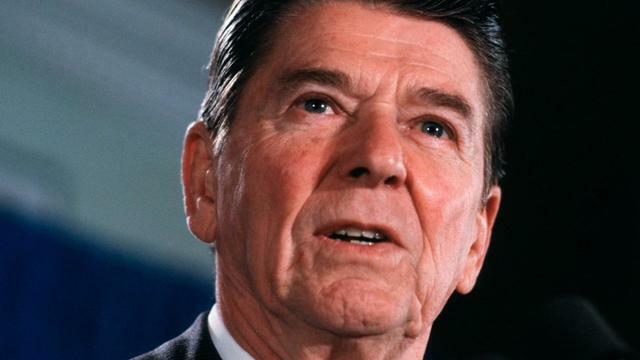 In the 1980, Ronald Reagan won the presidential election as a republican. Sworn in next year in January, he famously says that government isn't the solution, but the problem. Reagan's presidency would be one of much debate and controversy, as he was one of the most prominent presidents to truly fight against the Soviet oppression. With Reagan's main goal to destroy the Soviets shifting slowly to peace, he knew that negotiating from the advantageous position would be better for the U.S. He then started a massive campaign on improving U.S military defense. 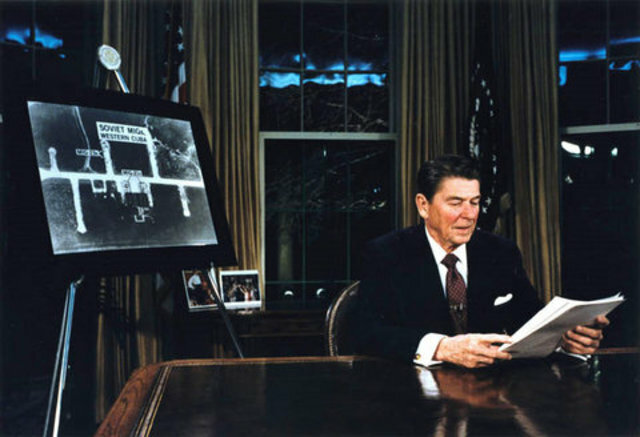 Eventually, on March 23, 1983, President Reagan announced a space-based defense system to shoot incoming projectiles out of the sky, called the Space Defense Initiative (SDI). This would be the start of a large arms race between the Soviets and the U.S.
With the new Soviet premier, Mikhail Gorbachev, in charge, President Reagan now sees a slimmer of peace. During the convention, no official progress was made between the U.S and the Soviets, but Reagan and Gorbachev did form a bond. Their friendship would eventually lead to the beginning of the end of the Cold War. As Soviet-American tensions slowly declining with Gorbachev's reforms, Reagan decides to deliver the final blow to the fight. 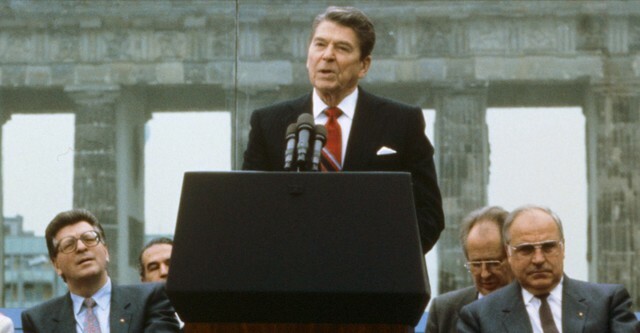 While visiting capitalist East Berlin, President Reagan gave a historic speech demanding that if Gorbachev really wanted peace, he'd tear down the Berlin wall and allow Germany to reunify. 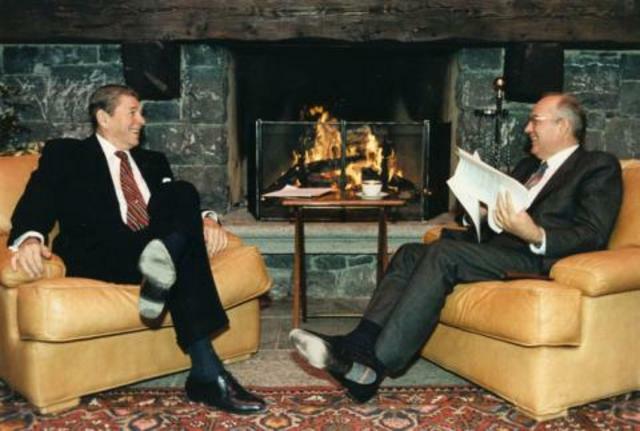 With national pressure of Gorbachev and Reagan being his close friend, he agreed. While it was a major victory for capitalists nation wide, many in Russia were furious at Gorbachev. Officially on November 9, 1889, the communist party in charge of East Berlin announced that the border between the two Berlins would be open. Later on, floods of people crossed and threw parties. Many people also began to chip at the concrete wall that divided the two cities. Other nations would follow Germany's path and split off from the USSR. Gorbachev would disband the Soviet Union as his last official action in office. This was the end of the Cold War for many.